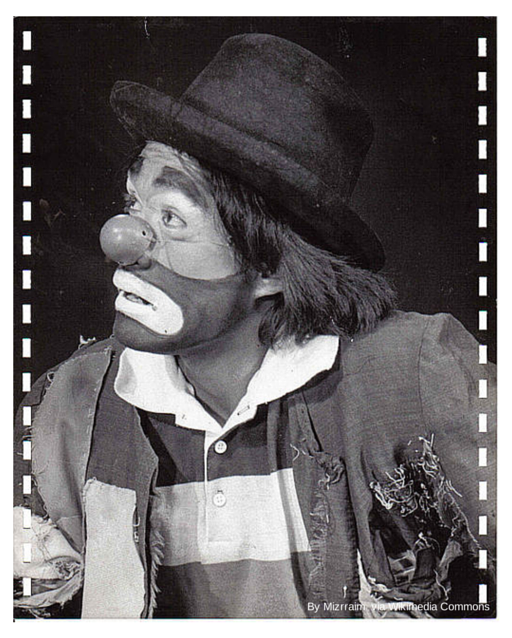 Maybe there was more to Red Skelton's sad clown paintings than just paintings of sad clowns. My grandfather liked his paintings and I never understood why. Why would a clown be so sad? I get it now though. It seems that the ones who make us laugh the hardest, are often those who are most afflicted. In this case, with depression. I watched a video clip yesterday of an interview with Wayne Brady. His has a lightning quick wit that makes me laugh out loud as one of the stars on Whose Line Is It Anyway. He also is the host of Let's Make A Deal. In the interview, he opened up about his struggle with depression. He has also shared how Robin Williams' death prompted him to open up. We have to keep talking about this. We have to keep breaking the cycle of shame and silence. I think it's even more impactful that he is talking about this as a man. Postpartum depression, in my opinion, has become a little more accepted. I still think most people don't understand that even postpartum depression is not the same as the "baby blues", but still...it's something. It's a beginning. It seems like even the pharmaceutical commercials for antidepressants are targeted towards women. It must put another layer of pressure on men who are depressed. Wayne Brady's transparency in this area helps show everyone, including men who are suffering, that depression has no boundaries. No one is off limits. Depression is a big fat lying predator. Ongoing depression is less understood by outsiders. If you've lived with someone who is clinically depressed, I think maybe you have a better understanding than the general public, but no one can truly understand it unless they have also been affected. While I'm sad for him that he fights this crappy fight, it's nice to know there's another one in the army, willing so speak up. Or maybe just to hang out in the dark room with the rest of us.